A-League football team Melbourne Victory luckily kept alive its slim hopes of progressing through to the knockout stages of the AFC Champions League with a 93rd minute equalizer against reigning J.League champion Kawasaki Frontale in their match at Kawasaki Todoroki Stadium. The day was something of a soccer landmark for Japan and Australia with Sydney FC hosting Kashima Antlers at Sydney Football Stadium, with the current Australian champion losing 2-0 at home. All four teams will play return legs next week, with Kashima hosting Sydney and Melbourne at home to Kawasaki. 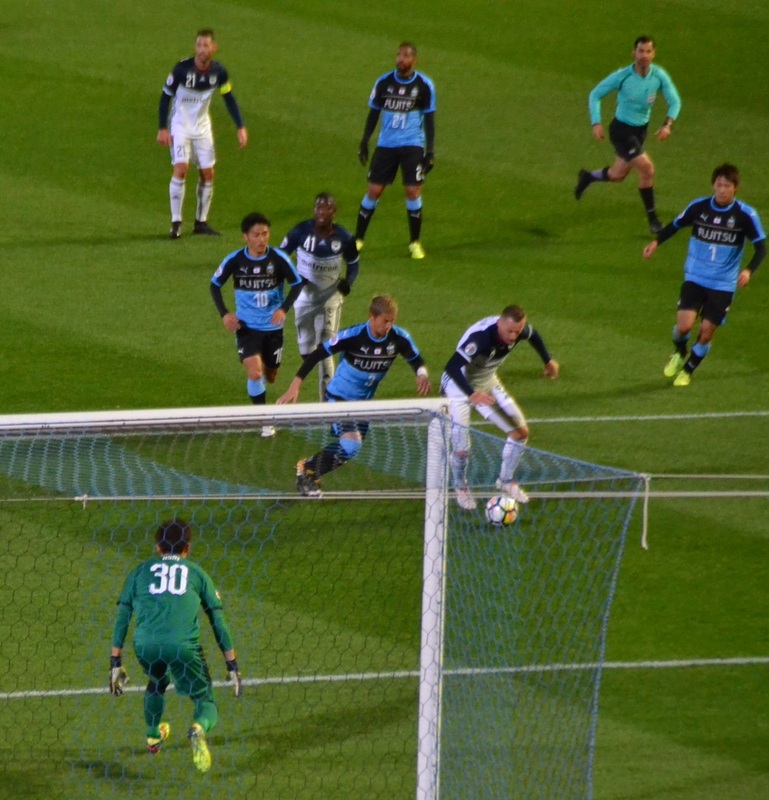 At Todoroki, Frontale looked to have the game in hand at full-time after having been the better team for the match, but unable to exert dominance over their plucky Aussie rival. The crowd of 11,196 cheered endlessly for the Japanese champion, which had yet to open its account in this year’s AFC Champions League. 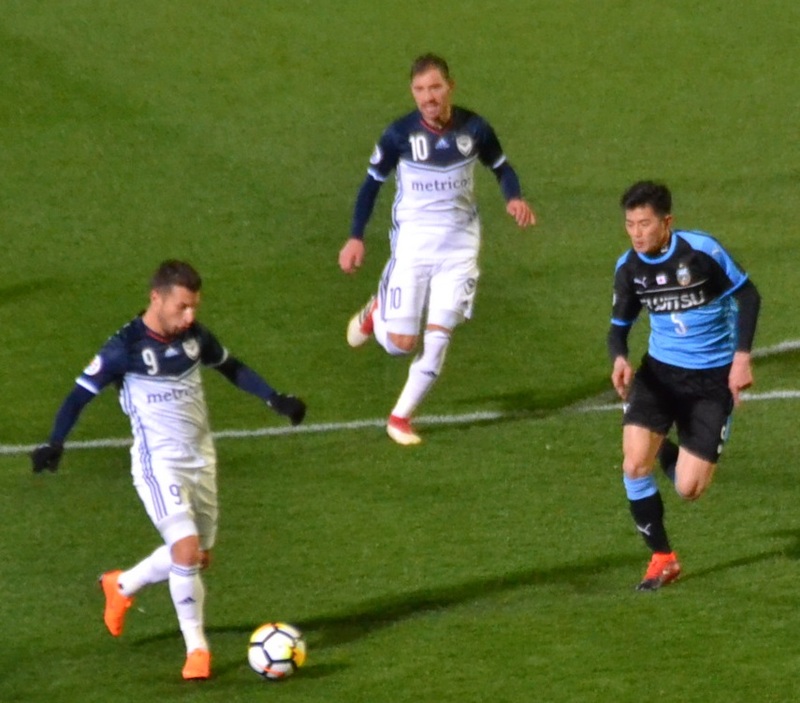 Player of the Match Elsinho opened the scoring in 28th minute after the Aussies appeared likely to break at any time due to Kawasaki’s relentless pressure. 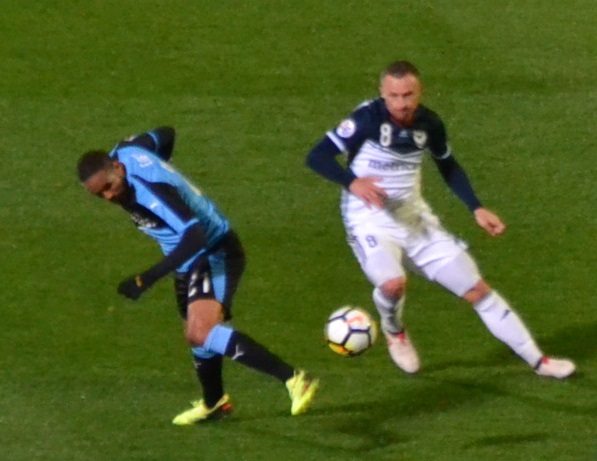 The lead didn’t last long, though, after Besart Berisha slotted in a Leroy George corner and sent the teams into half-time at 1-1. The home team continued to control the game throughout a second half spent largely protecting a lead given by a Kyohei Noborizato goal at the 55th minute. Surprisingly, just as the 3-minute extra time period was about to elapse, substitute Christian Theoharous was fouled in the box. George made no mistake from the spot, and Victory, which has not won in its last 18 ACL games away from home, headed back Down Under with a share of the points. After three games, Group F standings are led by Shanghai SIPG and Ulsan Hyundai, followed by Melbourne and Kawasaki.